Amazing Challenge between 2 local high schools! Just wanted to share with you all an extraordinary event that occurred here at Ingleside High School during the month of November!! 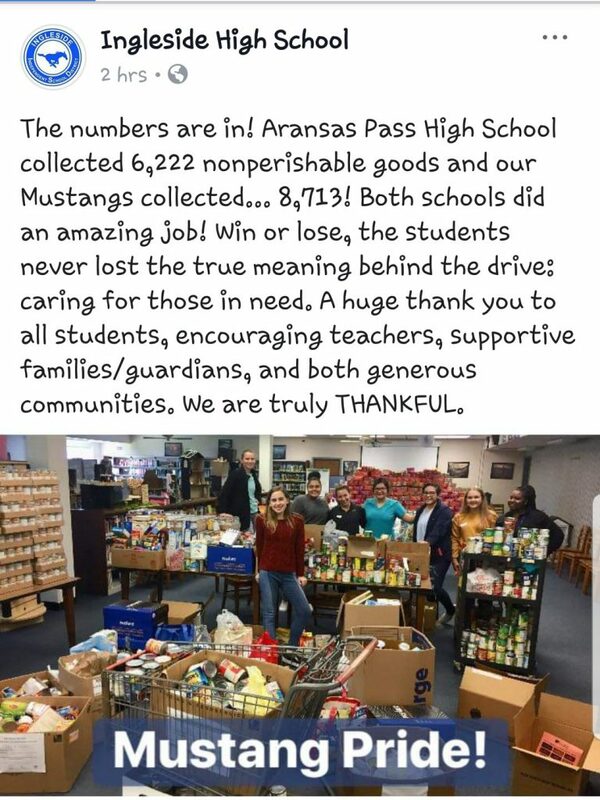 After obtaining approval from my amazing principal, Mrs. Whidden, I made contact with Aransas Pass High School Principal Wayne Bennett and challenged his campus to a food drive challenge. Mr. Bennett immediately agreed to it. Together we settled on a 4-day challenge whereby both high school student council presidents would provide daily counts to one another. On the last day of the challenge, students would submit their final numbers and the winning school would not only get bragging rights but would also display their school spirit on a designated wall at the defeated campus. The challenge went on from November 12th-15th. Several local businesses and elementary schools, within Ingleside, assisted our high school with the drive. The level of competitive rivalry between Ingleside and Aransas Pass was unknown up to this point. With a difference of 2,491 nonperishable goods Ingleside took the win! 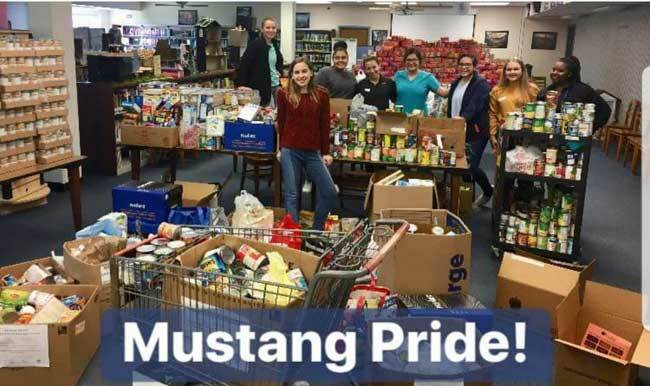 What is truly amazing is that in just 4 days these two high schools came together and accumulated nearly 15,000 goods for the local food pantries. It was a great, clean, and heartwarming event. Mr. George who is a member of Ingleside Methodist Church reported that he had never witnessed such a donation of its magnitude in his time there. The church appeared truly grateful for the goods and right in time for Thanksgiving. Community partnership at its finest!